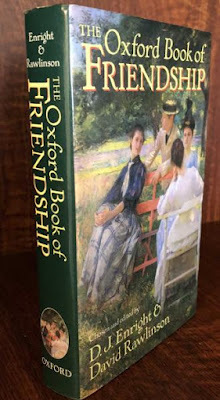 I've just finished reading (or browsing) The Oxford Book of Friendship for the second time in a few months. I came across it on the book exchange shelf outside the library. I love themed anthologies of this kind, and I plan to read more of them. I love to survey life from some particular angle, under the companionable guidance of the anthologist. Unsurprisingly, the book has got me thinking about friendship-- a vast and many-sided subject. The various authors quoted in the anthology make many claims and observations about friendship. I'd imagine most readers would have the same response as me to most of these claims: "Well, I wouldn't say that...." "But what about such-and-such?". "True, but..."
Is there any subject more impervious to generalisation than friendship? It's ambiguous and elusive by its very nature. Friendship is especially interesting to me because I don't take it for granted. I didn't really have any friends until I was in my mid-twenties. I was so shy and withdrawn as a child that I barely spoke to anyone. My only friends were my siblings and my cousins. In my teens, I started playing street soccer and "hanging out" with some neighbourhood kids. I suppose I did become friends with some of them, but it was a distant kind of friendship. Still, it left me with some magical memories, such as swapping jokes and ghost stories on a darkened field, after it had become too dark to kick a football around. It's funny how friendships progress. I can remember myself and my younger brother asking a group of boys around my age (my brother was younger) if we could join their kick-about. They told us (in a not unkindly manner) that it was too "crowded"-- three boys kicking a ball in a large field! 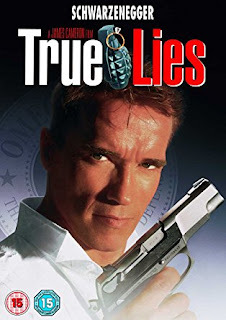 Eventually, we did become friendly with them, and I can remember them trying to persuade me to come with them to see True Lies starring Arnold Schwarzenegger. I actually rebuffed many overtures of friendship, through shyness, over the years. This didn't make me feel any less friendless by necessity, strangely enough. That was the closest thing I had to friends until well into my twenties. In college, I declined all the invitations to join my classmates in the pub-- again, through shyness. I got on with them well enough, but didn't make any friends per se. One girl told me, years later, that she found me confusing because I was outspoken in class but very quiet otherwise. It was only when I got a permanent job (the one I have now) that I began to make friends. Indeed, I'd say that about half of my friends are friends I made at work. I find it difficult (almost impossible, in fact) to initiate a conversation with a stranger, unless there is some solid pretext for doing so. I'm envious of people who can simply chat to the person next to them in a pub, or in the supermarket queue, or in some other place. So, if I'm going to make friends at all, it will usually be people with whom I am thrown together for some extended period of time. I'm very slow to call someone my friend-- not out of reluctance, but out of shyness. It's generally other people who take the initiative in this regard. What is a friend? I pondered this a lot in my friendless years. It seemed to me that invitations were the key. If somebody invited you to their home, they were your friend. If someone invited you to a party, they were your friend. If somebody invited you to a wedding or to go on holiday with them, they were your friend. Since I never got any invitations, it followed that I had no friends. Friendship became something exotic and coveted in my mind-- like a private jacuzzi. I wondered what it must feel like, to blithely refer to somebody as your friend. People would sometimes ask me if I was lonely. I wasn't particularly lonely, but I was horribly ashamed. Not having friends seemed like a terrible failure, an indictment of my very self. I wondered what friends spoke about to each other. Looking back, it's obvious that my painful shyness was the reason I had no friends, but I didn't accept this at the time. I simply assumed I had nothing interesting to say, or that I didn't understand humour, or something like that. I didn't mean to dwell on my personal experience, and I don't mean to be self-pitying or embarrassingly confessional. It may be that those years of friendlessness had some good effects. I believe they did. 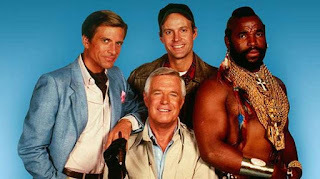 Well, I have made friends since-- good friends. For this, I am very grateful. I don't take them for granted. At the same time, if I somehow ended up friendless again, I don't believe I would be as desolate as I was the first time around, or take it to heart in the same way. I've also lost friends. I was looking through my wedding album the other day. Many of the guests are people I would no longer consider friends, either through drifting away from them or through alienation. One wedding guest had been a fairly close friend, but she grew increasingly shrill in her feminism and her anger against men and white people (though she was white herself). Every now and again I would check out her latest screed on Facebook and I eventually unfriended her there, hoping I would never run into her again in real life, either. It was her anger that alienated me from her, not her political views. I would not debar someone from friendship on account of their political and religious views-- as long as they did not let those views consume them with hatred and anger. So what about the criterion I had come up with for friendship-- that the measure of friendship is invitations? I think this is a fairly good measure, but not an infallible one. For one thing, I've often been in houses or at social events with people who I wouldn't consider friends. The Oxford Book of Friendship was published in 1991, when the internet had barely taken off. It's reassuring that it finds a place for epistolary friendship, something that has a long and rather prestigious tradition. So it's not so ridiculous to have "friends" you've never actually met, which is rather common today. Still, it seems reasonable to say that face-to-face friendship is preferable to friendship via some medium or other, everything being equal. Some friends are good at keeping in touch when they move away, or when they go on holiday. Some are not. I have one good friend who is very stimulating and funny in conversation, but whose emails don't reflect his personality at all, and would even seem curt and cold except I realize this is how he expresses himself in writing. When I think about friendship, and what differentiates it from other relationships, I keep thinking about calm. Friends are people we can be calm around. We don't have to constantly fret about them taking offence, or misunderstanding us, or being bored by us. We don't feel the need to perform. Having said I don't take friends for granted, it occurs to me that, in a certain sense, the very essence of friendship is that you can take a friend for granted, in a certain way. I remember reading a novel in which the protagonist, sharing a drink with a friend, reflected that the man bored him but that it was a pleasant kind of boredom. I've had similar experiences-- sometimes I've found myself listening to a friend, reflected that nothing they were saying particularly interested me, but that there was nothing irksome about this. Similarly, we can sometimes suspect we are boring our friends, but feel confident this is not going to turn them against us. There's something about friendship which resists, or even resents, too much analysis. The Oxford Book of Friendship reproduces several letters in which friends write about their friendship to each other. I admit this makes me squirm a little. Perhaps this is reaction is distinctive to me. Perhaps the lack of friendships in my past makes me unwilling to analyse friendship too closely in case it withers under examination. Or perhaps is it is that so much of friendship consists of that which is unspoken that putting it into words might damage it-- like explaining a joke. I've always thought of authorship as a sort of friendship between the author and the reader. Indeed, few things are quite as companionable as the private, unique encounter between any given writer and any given reader-- though they may be separated by centuries and the most disparate circumstances. So I will finish this blog post, dear reader, by saying that I very much consider you a friend, whoever you are, wherever you are, and whenever you are reading this. 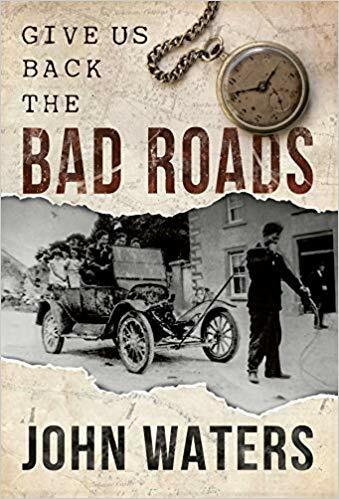 This morning I was surprised by a gift in the post from an anonymous benefactor, one I am very much looking forward to reading. It's Give Us Back the Bad Roads by John Waters. Thank you! I will make sure to review it here! Five Hebrew Words Every Christian Should Know! This is exactly the sort of article I was writing about a few blog posts back, the sort of article that (I think) adds to the stresses of life by telling us another little thing we should know, do, see, eat, etc. etc. The author concludes: "The Bible is the most incredible book. All of us have only begun to dip our toes into the vast depths of its riches. Obviously it is an amazing blessing to have the Bible translated into English. But as our language and vocabulary continue to morph, it is worth our time to seek out the original, precise meaning of key words. We want to make sure we are accurately hearing what God is saying." Yes. But there are so many other things people should do and attend to. It's never ending. I think an article like this is very fine in terms of its content. It's the headline I object to. Back in October, I travelled to Belfast to give a talk based on my book, at a Legion of Mary young adult's conference. The text of the talk can be read here. Someone suggested in a recent comment on another post that I should write about my impressions of Belfast. It's a good idea, so I'm happy to oblige. I have done very little travelling in recent years, so my trip to Belfast was a big day for me. It was also my first time north of the border, hard as that may be to believe. In fact, I found the entire experience so stimulating that I spent most of the next day writing it up in my diary-- both the trip itself, and the reflections it prompted. Before going any further, I should say something about my unusual relationship with geography. First off (and to repeat something I have often said on this blog), I have a lifelong fascination with the idea of place, and a deep yearning for distinctive and special places-- I mean, for their very existence. Whether this fascination came from anywhere is impossible to know-- I don't see why it needs an explanation. 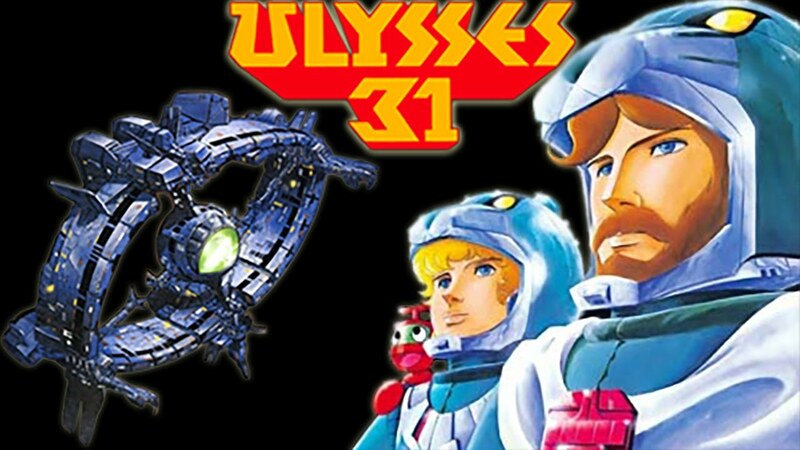 But, in any case, it was certainly fed by stories of fantastic journeys, whether that was The Lord of The Rings, Isaac Asimov's Foundation series, or Ulysses 31, the Japanese cartoon that transposed Greek myth into space. But my actual sense of place is catastrophically bad-- so bad, I will struggle to convey it to the reader. When people ask me if I know such-and-such a place in Dublin, and I say I don't, it often draws the response: "Are you a Dubliner at all?". 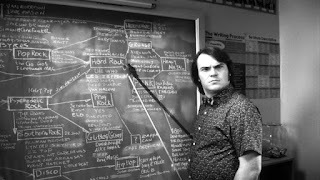 I remember, in primary school, the teacher used to pull down a huge laminated map of Ireland, and try to get us to memorize the counties, rivers, lakes, and so forth. To me, this seemed as impossible as walking on the ceiling-- none of it would stick at all. And I still struggle with this. For more than a year now (easily), I have been taking an online Irish geography quiz every few days. In this quiz, one has to place various counties on the map. There are fifteen questions, and I usually get twelve to thirteen of them right-- this despite the fact that are only thirty-two counties in Ireland, and I have taken this quiz innumerable times by now. And this incapacity to remember places dogs me even on the smallest scale. I am very often unable to give people very simple directions-- even within the walls of the library, where I have worked for close to eighteen years. When someone asks to be shown the music shelves, for instance, I have to bring them there, rather than give them directions. So even when I know how to get somewhere, I'm unable to describe how to get there. I am making a big effort recently to develop a better sense of place-- of actual places. This involves constant conscious effort, like noticing street names when I pass them, and not mentally filtering place names out of news stories, films and books. I'm not complaining. Perhaps this handicap adds to my sense of wonder, my sense of the mysteriousness of space and time. Finally, when it comes to my sense of place, there is another contradiction to be taken into account. I have worried about globalization all my life, long before I even knew the word. Even when I was a small child I was worried that there was nowhere left to explore, and ardently wished there were more than five continents. By my teens I was fretting that everywhere was becoming homogenized. And yet, I am insensible to many of the things that do differentiate place from place. I have a very poor eye for nature, wildlife, architecture, car design, fashion, and many other aspects of everyday existence. I have a poor ear for accents, and a poor tongue for cuisine. So whether there is any value to an account of my trip to Belfast might fairly be doubted! I was amazed at how long the Port Tunnel was. It just seems to stretch on and on. 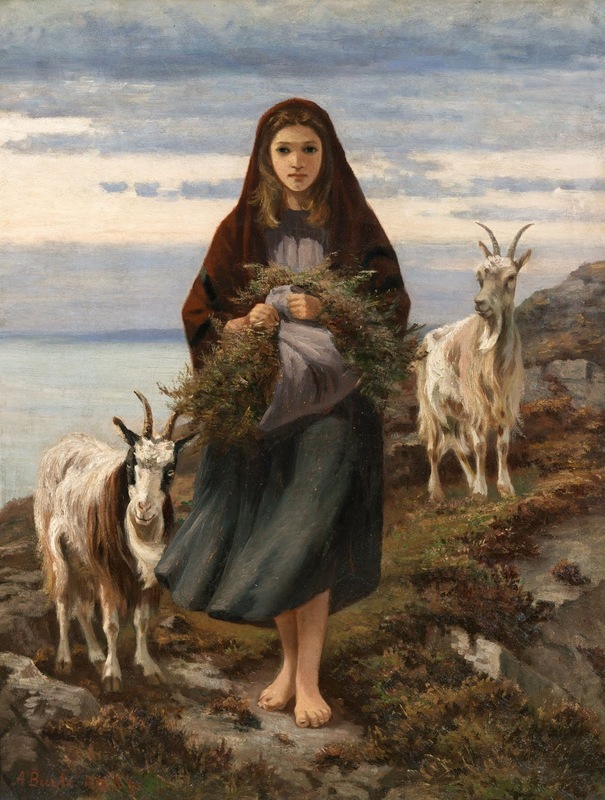 I enjoyed looking out at the landscape, as we moved out of Dublin. No matter how little of Ireland I feel is left, the landscape endures, and that's something. Now, however, it seems like a spurned idyll. I was so happy to see cows and sheep in fields, though the sight does rather make me guilty for eating meat. There was another sculpture near a sign for Bernish Viewpoint-- a kind of scrap-metal woman by a scrap-metal house. There was a Hunger Strikers memorial in Newry-- ten white crosses and the date 1981, stark and impressive. Newry was very republican, it seemed. 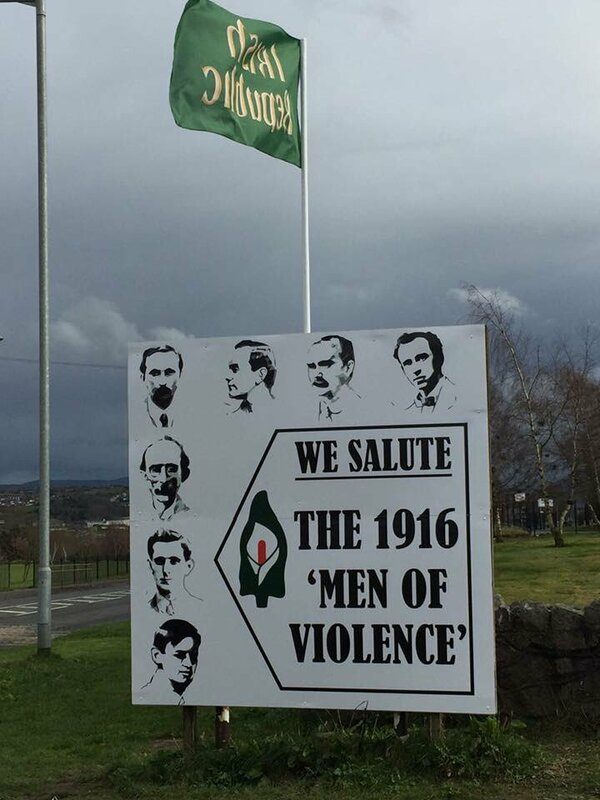 There was one sign which showed drawings of the 1916 leaders and the text: "We salute the "men of violence" of 1916." 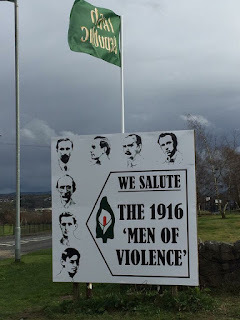 In fact, there were a great many tribal symbols in Newry and Belfast-- tricolours and Union Jacks in about equal measure, murals in Belfast (not all sectarian, but there was one showing Bobby Sands). I also saw a sign that said UDF [Ulster Defence Force, a loyalist paramilitary group]! I was also surprised by Protestants buildings which reminded me of those I saw in America, big Baptist and Seventh-Day Adventist and other chapels, some called Gospel Halls, with the same sort of big signs saying things like: "Jesus Died for Our Sin". Unlike in England, they looked very much in use and for their original purpose. There were a lot of Republican anti-Brexit signs. Belfast is a real industrial or post-industrial city, lots of chimney and cranes, and redbrick buildings. I saw a metal sculpture which had an aviation theme to it-- I only glimpsed it-- and subsequently learned it's a monument to Harry Ferguson, a pioneer of flying. 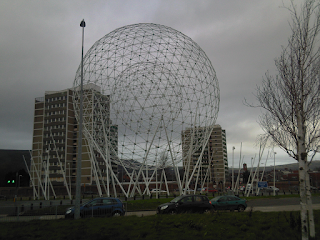 When I reached Belfast, the city centre had a kind of globe-within-a-globe sculpture, which I see is called RISE and has been nicknamed "The Balls by the Falls". 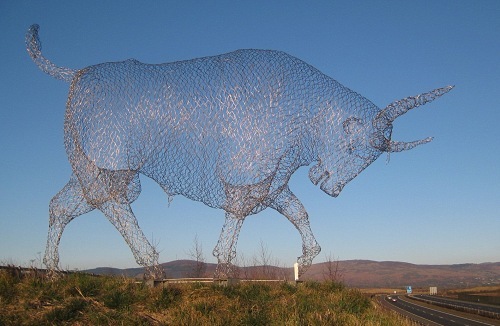 It's the kind of meaningless, non-controversial sculpture similar to the Millennium Spire. We reached Belfast at 9:56. I won't describe the conference itself. I didn't get into many conversations, not being talented at speaking to strangers. The young people all struck me as being dedicated Catholics, very upbeat and positive. Then I had my talk. S------ called the three of us who were giving simultaneous talks to the mic, to describe what they were about. There was one by a priest about Mary, there was one by B------- about Catholic social action, and then there was me. I was very brief. Then I went to the back of the hall and waited. This was the hardest part, quite nerve-wracking. Would anyone come? It looked like they wouldn't, at first, but in the end there was about eight or nine, I think. N----- stayed, and so did the nun who had just spoken.They were both very attentive and encouraging in their expressions, which was a huge help. Blank faces and lack of attention is so discouraging. Happily, people's interest seemed to pick up as I went on. I was suddenly very nervous, much more nervous than I expected. I was expecting to be speaking from a podium, but I ended up speaking to people sitting right in front of me, like an informal conversation. This is far more nerve-wracking to me. I was trembling and my voice was shaking, although I rallied at times. Even though there were so many blank faces, I got a round of applause and some nice comments at the end. Sister Elaine told me she asked Our Lady which talk to attend and she told her to attend mine. I said: "I'm glad you did. I was frightened nobody would." She asked me who my favourite saint was, and I said it was Solanus Casey, and that I first came across him on a pamphlet at a Legion of Mary stand. After that, I was giving my talk again. S----- asked me did I want to give it from the top of the hall this time, at the podium. I was very glad he suggested this. I wonder did he see my discomfort the first time around, or hear about it from someone else, or perhaps hear how bad it was. I went straight to the podium. R---- and K---- sat up front, much to my satisfaction. A friendly face is much to be desired when giving a talk. There were many more people this time around than last time around. I always overestimate numbers, but there might have been twenty or thirty. Some were inattentive, but most were listening. Everything seems to come to me through way of the imagination. I find security, shelter, and seclusion exciting to think about-- but, at other times, I find various sorts of daunting experiences exciting. 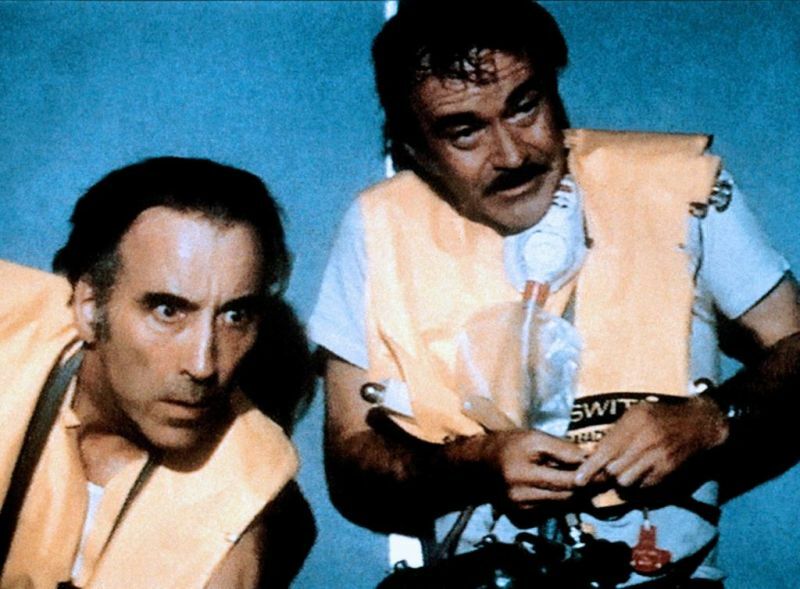 I love that line from Airport '79, when Jack Lemon and Christopher Lee are going to open a pressure door and the plane is underwater: "When that door opens, you're going to think the gates of hell have opened." Or when I was reading the Isaac Asimov book of jokes and he recalled challenging Harlan Elison (or someone else who was heckling him) from a podium: "Why don't you come up here, Harlan?". The idea of "up here" being such a distance from "down there" excited me, with my love for variation of space and time, and for atmosphere. But pondering it, I realize that it's often the things I hate-- embarrassment, pressure, self-consciousness, etc. etc.-- that makes it possible for a podium etc. to be a long long way from a seat mere feet away. Whenever I do anything new-- travel, or meet new people, or anything like that-- I'm suddenly thrown into contemplation of the rawness of life, the indeterminacy of life. And, instead of being exhilarated with the richness of its potential-- although this sometimes happens, like at my horror club meetings, or when I went on a visit to the art gallery and Christchurch and St. Patrick's Cathedral with my brother and my father in childhood-- more often I'm struck by the thinness of life, or its potential for thinness. Life in the raw is not splendid, but meagre-- that's how I feel. Life is rich not on its own resources, so much, but because of tradition, custom, the arts, folklore, narrative-- human things-- especially everything that is cumulative and contains memories. I thought this, as well, visiting P------- in hospital-- and also, visiting M------- . How pleased I was to have anything to talk about, like the stories in the newspaper, or anything that would get them going and take our minds off the situation. The world, if it was shrunk to that hospital ward, was a small and empty place indeed. I have two images in mind, two hypothetical vignettes, which have haunted me since then, or perhaps since M--------'s hospitalization. One is the image of somebody terminally ill, or just seriously ill, who has never really had any interests beyond keeping busy and the business of the day. He or she has nothing in that situation. Nothing to think about, nothing to be interested in, nothing except lying there and waiting to die or hoping to recover. While somebody who is interested in something larger than themselves remains a spectator of life's drama to the final moment, even if he is sidelined or on the way out. On the notebook I took to make notes today, I wrote the word THICKNESS in large letters. Everything I saw and encountered today made me think of THICKNESS, of its desirability, and experience generally DOES make me think of this. For instance-- the last time I went to the art gallery, before the last horror club meeting, I found myself realizing just how fertile, how full of possibilities, cultural nationalism is. It gave a flavour and an atmosphere and a horizon to all the art of that time. It was the opposite of a dead end, or stifling. What strikes me is that, when art is supposedly liberated from any tradition such as nationalism or Christianity or romanticism, it simply becomes banal and empty. 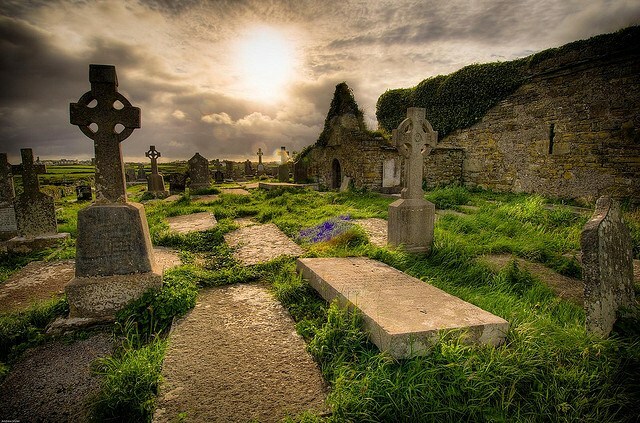 Tradition gives life, growth, depth, resonance. 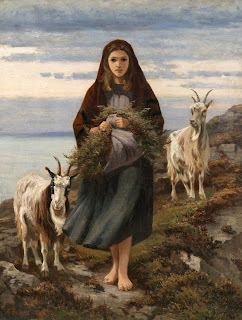 Connemara Girl by Augustus Nicholas Burke. Trite, chocolate box, clichéd, stale, etc. etc. Whenever I travel, I'm desperate to find something distinctive, something special, in the places I go. I was so pleased, when I was on my sculpture trek [a journey I took around Dublin to find public sculptures), and I found a house which was completely decked out in the Dublin Gaelic football colours, with various banners and so forth hanging all over it. It gave the otherwise drab street some character, some identity, something to engage the mind. And that is what nationalism does, and religion too. 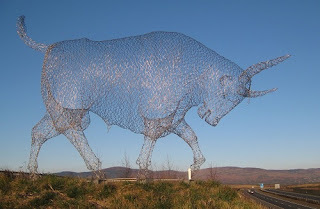 When you find a monument that has some nationalistic or folkloric aspect, like the mesh bull I saw today, it evokes a whole spiritual territory beyond itself. Whereas that steel globe meant nothing beyond itself. The Russian literature book I was reading was also feeding these thoughts. I am so much a Slavophile and such a supporter of Slavophilia. Slavophilia is distinctive, special, promising, creative. Westernizers are trying to make Russia and the world less interesting, distinctive, and diverse. Insularism is more creative than cosmopolitanism. But it's not just that. It's the idea of a national literature, even of literature itself. Books have always seemed to me like the bastion of life, of soul, of meaning. "Outer" life is thin and barren compared to the compressed, heightened "inner" life of books, history, traditions, ideas, and so forth. And that includes any kind of tradition. 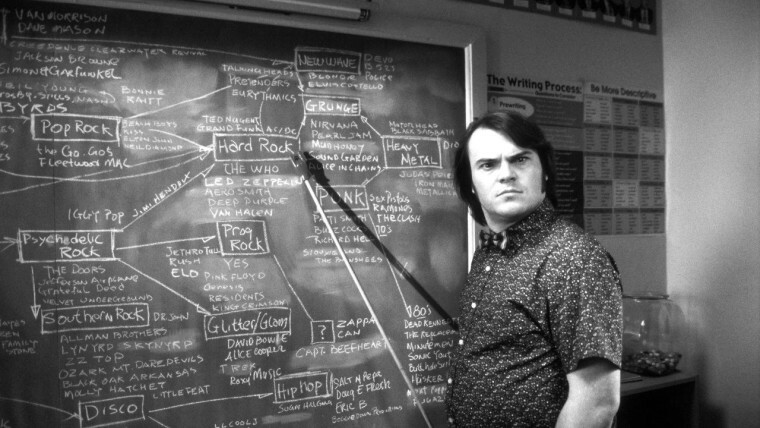 This is why I love that picture [a still from the movie School of Rock] of Jack Black standing in front of a blackboard showing all the different developments and genres in popular music-- it's something to get stuck into, something deep, something THICK. I crave THICKNESS of this sort. And the book also wrote about monuments to Russian writers, and the veneration of Russian writers in Russia, especially in the Soviet era. I greatly admired this-- I like the piety and veneration, even if it was Marxists doing it. Indeed, the only thing that ever mitigates my hostility to political correctness is that it's a kind of reverence, of earnestness, of piety. When it comes to Catholicism, I love the "thickness" of devotions, the liturgical calendar, Catholic history, Bible exegesis, saints stories, etc. etc. Such were the thoughts that my trip to Belfast inspired in me. This is how my mind works. Seeing new things sends me scurrying to the shelter of books and traditions. God help me! And yet, I think I might be onto something here.